On Election Day, voters in the five towns that make up the Chittenden East Supervisory Union weighed in on a proposal to streamline the decision-making process for the district's six elementary schools, two middle schools and one high school. The bid to reduce the number of Chittenden East education board members from 66 to 15 was sweetened by the promise of property tax relief if the "yes" side prevailed. First-year savings for the four-year-long tax break were projected to average about $75 per $100,000 in assessed value of homes. In a district with total enrollment of about 2,600 students, supporters said consolidation would enhance efficiency, reduce operating costs and possibly prevent the future closing of elementary schools with fewer than 100 students. The ballot item did not call for school mergers. Opponents questioned whether anticipated budget savings would actually be achieved, and warned that approval could result in neglect of issues that were the sole focus of school boards in line for consolidation. 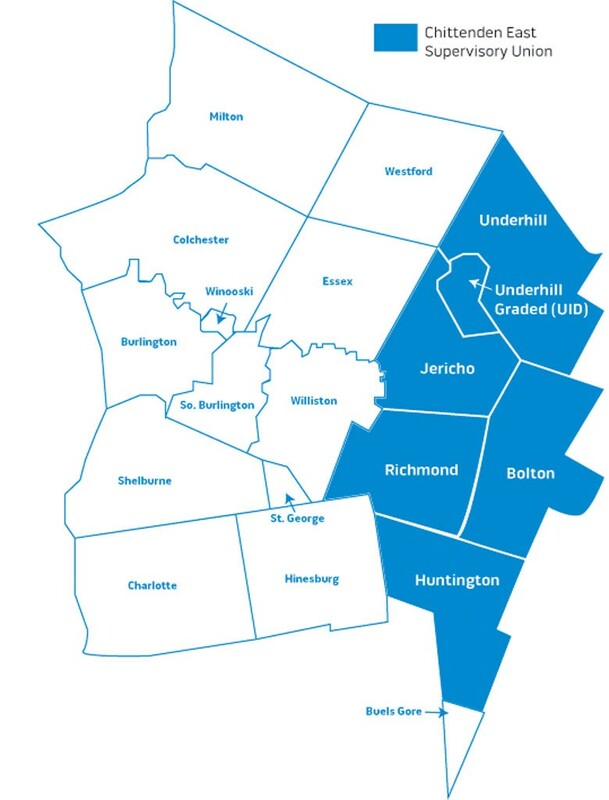 UPDATE: A 2-1 majority approved the proposal, with voters in Bolton, Huntington, Jericho, Richmond and Underhill casting 4,228 votes in favor and 2,005 against. All the towns except Huntington, which voted no, backed the plan by large margins. Under state law, Huntington's school board will thus remain in existence and separate from what is termed a "modified union district." Michael Marks, an attorney who chaired a study committee that recommended approval, said recently that the voters' verdict "gives us an opportunity to work together in a school district that's right-sized." "I believe in community control of schools," Marks added, "but there can be community stretching beyond a town's boundaries. School districts have got to be large enough to achieve efficiencies." He suggested that the outcome could inspire voters in other parts of Vermont to undertake board consolidation efforts, perhaps leading eventually to actual mergers of some of Vermont's smallest schools. The original print version of this article was headlined " Approval of School District Merger May Signal Statewide Trend"